The Humanitarian Edit: What Can We Do To Help Calais? Calais. We have seen it on the news. We've seen the horrendous images of children suffering from unfavorable conditions. We have heard our Government damn said, migrants, as if they haven't had it hard enough already. But what is it actually like living in Calais? Today we are looking at the situation in Calais and what we can do to help on a wider scale. I know this post is a little different from what we do here. But the biggest thing I've done with this blog is to create a platform. And it would be wrong of me not to highlight issues that mean the most to me on this platform. This post is brought to you by Chris, who's been in Calais since early 2017. Chris is someone I've known for a long time. And his work really inspires me. He has volunteered himself to help those in a situation who have nothing else to give. He writes about his experiences, documenting each dynamic of his journey in Calais, and give us a personal and frank view of the situation. The situation in Calais isn't the damning epidemic that will invade Britain and crumble our society that our Government makes it out to be. These are real people with real stories and real lives. They have hearts, souls, and minds just like we do. They are not vermin. They are humans. And they deserve our help. 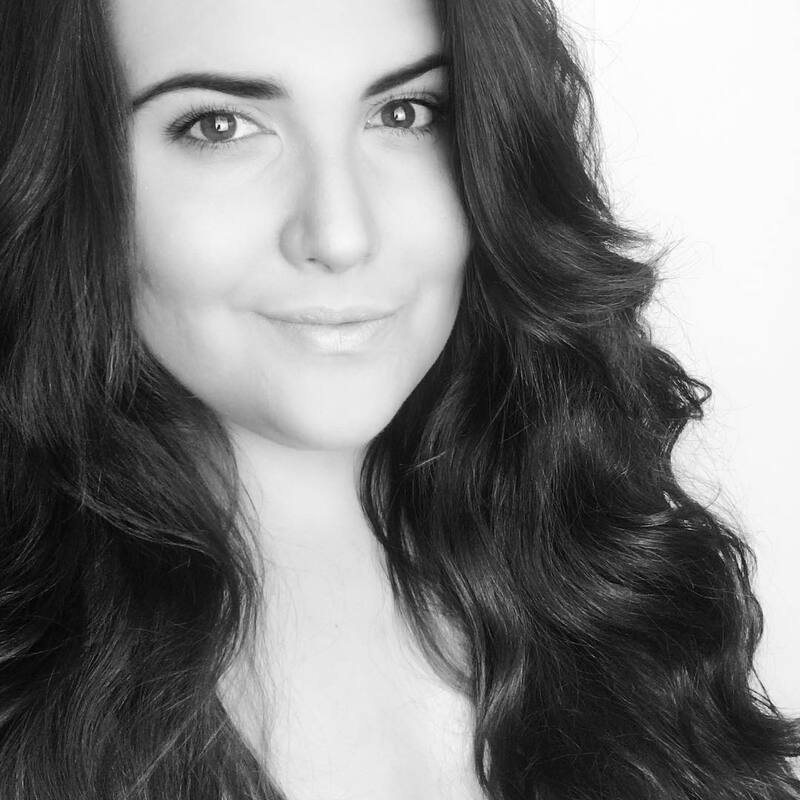 Firstly, thanks to Mollie for having me as a guest writer! My name is Chris and I work with the Refugee Info Bus in Calais, a small NGO providing internet access and information to displaced people in Calais and Athens. I also keep a blog called chrisseesworld, where I share stories from the ground in Calais (it began its life as a travel blog, hence the somewhat cheesy name). I am hugely appreciative of the fact that Mollie has given me a new space to write about Calais, and I relish the opportunity to reach out to a different audience. You might have heard of the “Jungle”, which dominated news headlines and politics at the height of the so-called refugee crisis in 2015-16. At its peak, there were 8-10,000 people living in Europe’s biggest shanty town, a mile or so from the port of Calais, 20 miles from the UK’s shores at Dover. It encapsulated the best and worst of humanity and was just a small part of wider, hugely complex issues affecting people across the world today. The presence of refugees in Calais is nothing new, and in fact has been going on for over 20 years. It is a matter of geography (its proximity to the UK) as well as politics (the lack of safe and legal passage for people fleeing violence and war). 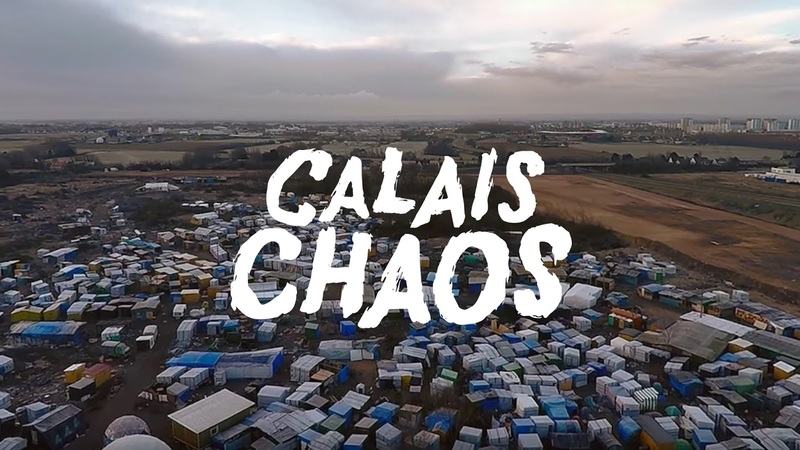 Calais itself is a post-industrial town in decline, with motorways carrying trade and tourists immediately away from the city and off to Paris and Brussels, and strict border controls enforced and paid for by the UK because the UK’s border is on the Calais side of the Channel. Local organisations have been providing aid in the city for years. However, in 2015/16, the number of displaced people in Calais grew exponentially, a situation which nobody was prepared for. As hostility grew in the media, organizations formed – including Help Refugees, which is now the largest NGO in Europe working with refugees – which were made up of volunteers from all over the world in order to attempt to help people in some way and to change the narrative. At its peak, the Jungle was home to around 8,000 people. In late 2016, the “Jungle” was evicted. Several thousand people were put on buses to centers across France from where they had been told they could claim asylum. Many have since been deported. Others are still here to this day, with around 2000 people sleeping rough in Paris in squalid conditions awaiting their asylum interviews. When I arrived in February 2017, there were less than 100 people sleeping rough in Calais, with around 1500-2000 living in a government run camp near Dunkirk. Now, a year later, this camp no longer exists either and there are over 1000 men, women and children sleeping rough in Calais and Dunkirk. The conditions in Calais are unacceptable for the so-called “country of human rights”. People sleep in cold, muddy fields and woods, or under bridges, and their tents and sleeping bags are routinely confiscated by the CRS – French riot police. 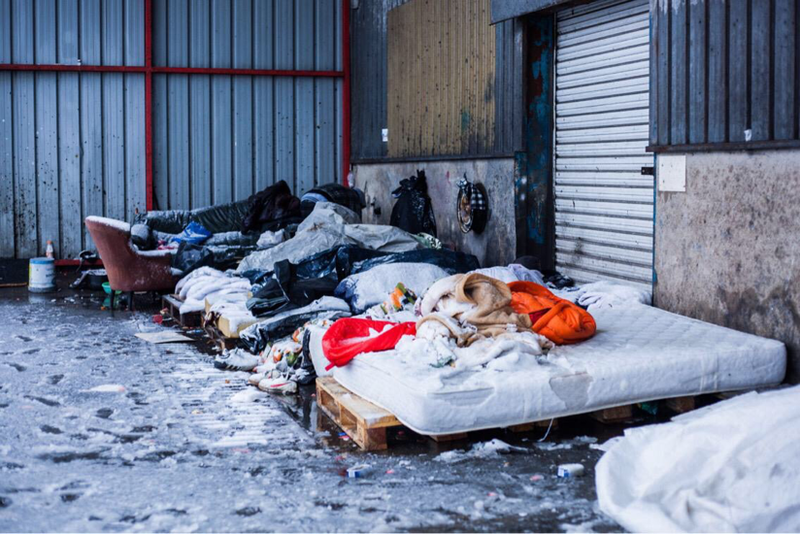 This is done in order to prevent another “Jungle” springing up, but it leaves hundreds of people sleeping in freezing conditions without access to adequate sanitation or shelter. Associations provide the bare minimum that the state should provide: shelter in the form of tents and sleeping bags, tea, food, water, wood, clothing, hygiene items, internet, shuttle runs to doctor and hospital appointments, first aid, legal and asylum information and education. Beyond our services, all we can offer is a friendly face and solidarity in an extremely hostile environment, where human rights abuses are rife. I’m aware that this might be the first time you’ve read about Calais, and I could go on and on if I get started on human rights abuses. We have fought and won court cases that have improved the situation slightly, but it is an uphill struggle. In my time in Calais, I’ve written several thousand words on the situation here, so if you’re interested in finding out more, check out my blog: chrisseesworld. For more news from the ground, including articles written by me for the Refugee Info Bus, look no further than The Digital Warehouse. There are loads that you can do at home, too. 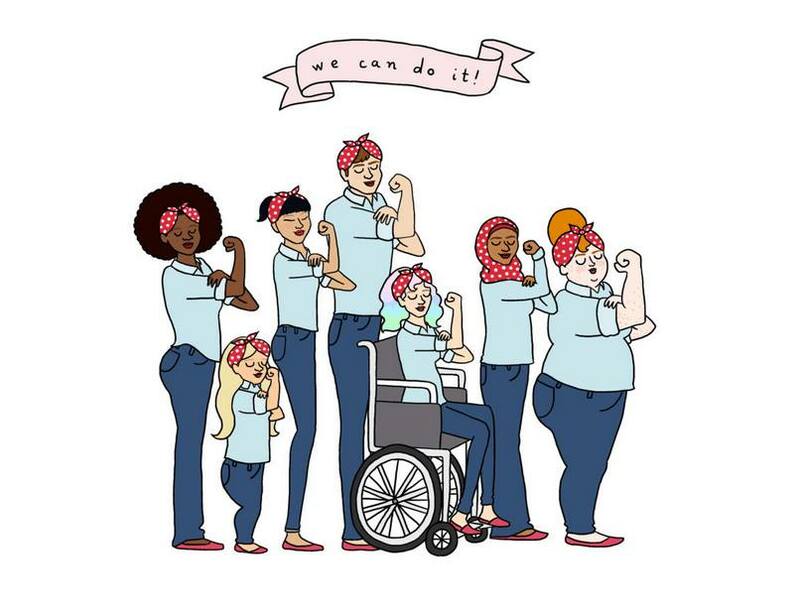 Solidarity groups have sprung up all over the UK since 2015, and this is a growing grassroots movement working with many marginalized groups and dealing with many complex and interwoven issues – refugees, homelessness, mental health, destitution. There are befriending schemes in most major cities, particularly those with large communities of people who are seeking asylum – including but not limited to Croydon, Manchester, Liverpool, Sheffield, Glasgow, Birmingham, London. I check in regularly with people I’ve met in Calais, some of whom are now trying to claim asylum in France and others in the UK, just to make sure they’re ok and know they have somebody to talk to when they’re not, or to share the good news with. Whatever your politics, reach out to your local community and see where you can lend a hand. Sit and chat with the homeless guy next to the ATM. Check in on the old lady across the street. Take your gran for lunch. We can blame the government for a lot, but we can do our bit too. Society is failing a hell of a lot of people and a small bit of humanity goes a long, long way. “You can’t help everyone, but you can help someone”. 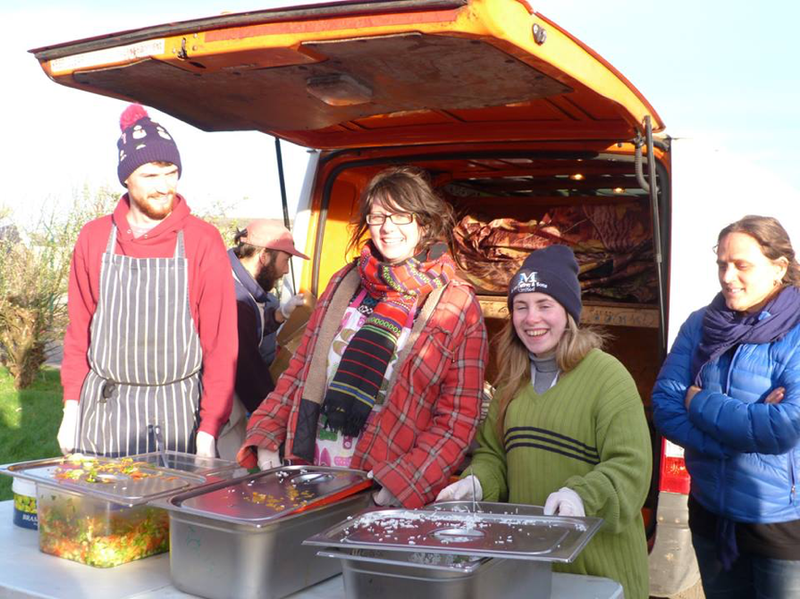 And if you’re interested and you have a spare weekend, week, month: come and volunteer in Calais with Help Refugees or Refugee Community Kitchen. Come and see what’s going on here – I originally only came for a week, and have now been here for over a year. Calais is as much the UK’s problem as it is France’s (if not more), and the more people that know and understand what’s going on here, the more effectively we can push for change. If you have any questions or would like to know more, drop me an email at chris@refugeeinfobus.com.